EMALAHLENI – HARD work, selfishness and a sense of pride are among the strongest attributes displayed by youth in the ongoing activations of the Brand South Africa Play Your Part campaign at schools. At the latest activation, learners at the DM Motsoaseli High School in Emalahleni in the eastern Mpumalanga Province reflected on how they could be better citizens and contribute to the development of their peers and communities. It was the second activation following the launch in Gauteng Province last month. Among the youngsters significantly involved in the programme is Grade 12 learner, Trevor Masiya. He is part of an organization called Generation of Change (GOC), which is currently donating clothes and motivating disadvantaged kids as part of an initiative to foster a spirit of ubuntu (humanity). “Words without action are meaningless” said Masiya astutely. Nicodimus Masuku, Second Deputy Principal at DM Motsoaseli, said there was a level of excitement among learners around the Play Your Part such that there forgot they writing their examinations. “We have a tourism class where the learners who are hopeless are encouraged by the campaign, as the programme is aligned to their studies. It was an eye opening on possible career,” said Masuku. He notes the school has a chance of taking the Brand SA campaign forward. A number learners displayed different levels of artistic talent during a session held by Brand SA in collaboration with the renowned comedians Goliath and Goliath. “The level of talent displayed was amazing. The kids need to be nurtured to be able to realise their dreams. School based support team looks at the development of learners in totality. We hope it will be able to develop that aspect of learners dreams and talents,” Masuku said. Siyabonga Mabunda, the Student Representative Council President, encouraged fellow learners to embrace the programme and apply some of the lessons within their communities. Sandiso Sibisi, a consultant with Accenture Digital, also encouraged the students. “Hard work pays off at the end no matter the circumstances,” Sibisi said. She encouraged a culture of independence among the youngsters, which she said was instilled in her while growing up. The aim of the Play Your Part activations is to continuously engage with the youth, specifically high school learners to be active citizens. Active citizenship is aligned to the county’s vision articulated in the National Development Plan (NDP). The NDP defines active citizenship as equalising opportunities and enhancing human capabilities. It serves as an action plan for securing the future for all citizens as charted in the Constitution. “We are on a road show to school s in different provinces and want engage young minds to encourage them to play their part however big or small to impact their communities which in turn will contribute to an improved South Africa,” said Rabia Metedad, Brand SA Activations Manager. 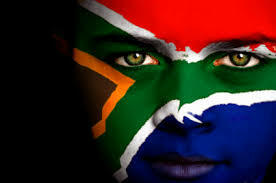 Brand SA was established in 2002 to help create a positive and compelling brand image for the country.